Everybody’s imagination used to run wild as to what the future would be like. Cars hovering in the air, robots taking the place of human butlers, and regular contact with aliens all seemed possible. Looking back, we aren’t far off from what we thought the future had in store for us. Cars can drive themselves. Alexa is in over 39 million homes across the country . And think everybody can agree Joaquin Phoenix is an alien. For all the things we thought would change, did you think that the way you talked to your doctor would change as much as it has? Telehealth allows you to skip the waiting room completely. Employees can now schedule an appointment and talk to a doctor all without having to get off the couch. Employees enrolled in telehealth will gain access to medical consultations with technology. Through just a phone call, email, or video chat, employees will be able to speak to a doctor who can diagnose minor aches and illnesses. These doctors can prescribe medication for the likes of the common cold, flu, pink eye, and much more. Some telehealth providers also offer additional services like therapy sessions. People may be quick to dismiss something new like telehealth services just because they’re not used to it. If it ain’t broke, don’t fix it, right? But what if we didn’t realize it was broken? Millennials in particular are the worst offenders, with 9 in 10 of them avoiding the doctor. People don’t go to the doctor’s office for a litany of reasons that we’re all guilty of. Whether it’s because we said we “don’t have enough time” or “can’t miss work”, there really is no excuse not to take proper care of our bodies. 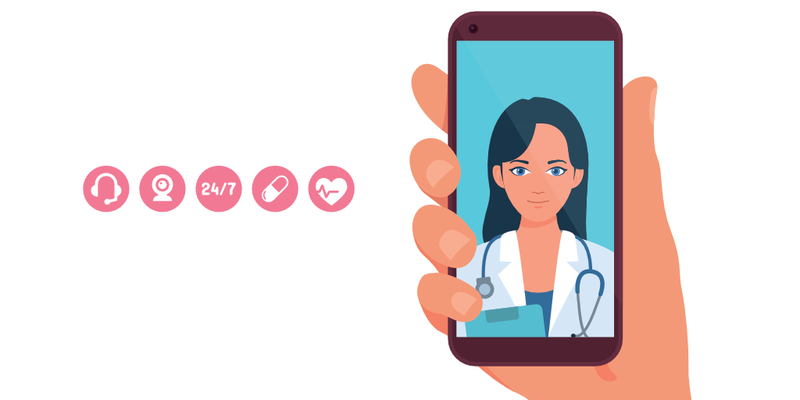 Those unfamiliar with how efficient telehealth is might prefer to go the traditional route in going to their neighborhood doctor, and there’s nothing wrong with that. But you could be missing a full shift of work to go to the doctor for something that could have easily been taken care of over video chat or a phone call through telehealth! Achieving peace of mind and getting healthy faster has never been easier than it is now with telehealth!